So many executives these days ask (with logical reasons of course) "show me the money” on everything. What affects the company bottom line, including evidence for return on investment, for building an efficient QMS (Quality Management System)? Indeed one needs to have transparent and accountable resources available to demonstrate positive evidence for a high ROI on Quality management. – let’s see whether you are ready for this challenging task? I hope you agree that in the financial world, there is a clear distinction between investments and expenses. The major difference is that investments involve expenditures. A company links these to measurable benefits. CEO’s and CFO’s expect a certain return on investment. When you invest in an efficient QMS and achieve the valuable ISO 9001 Certificate, you create a key business acquisition asset. ISO 9001 certification shows QMS success. Plus we recognize it as a global success model. Over 1 Million companies and organizations worldwide are already registered to ISO 9001. It prevents errors, which is always better than having costly corrections going on. It improved consistency of service and product performance. 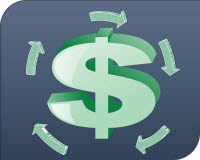 For many companies, by cutting quality cost in half can increase profit more than a 10 percent increase in sales. All these achieved values trigger international acceptance and recognition for your brand. It helps facilitate and spur trade in international markets. It promotes your brands high level of safety awareness, reliability and quality in your products and services. 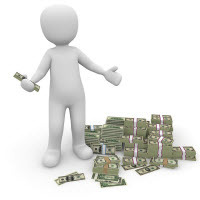 Searching for evidence for a high ROI on your QMS depends, of course, on HOW WELL you initially set up your QMS. In order to positively affect the bottom line, you must build the QMS in terms of effectiveness and efficiency. No matter the type of business, when implementing an efficient QMS, your company must take this critical project seriously. From concerns about cost and demonstrating ROI, to practical considerations about who manages the process at your company, QMS implementation efforts require professional management by experienced quality managers and support by business leaders to ensure success. Given the range of QMS, you can choose to build your own custom QMS from the bottom up. The cost and complexity of any do-it-yourself approach can turn out to become a poor one. Thorough advice is highly recommended. Deployment of Quality improvement activities need experienced methods and skilled team members. These activities create cost savings and other savings for the organization, which affect the bottom line. This alone provides enough justification to get “buy in” from your top management. To answer the CEO/CFO question on return on investment and getting the desired "buy-in" for building an efficient QMS, you must educate your leadership. Just getting a signature (though certainly important) is not enough. You must educate leadership about what an efficient QMS means for the company. 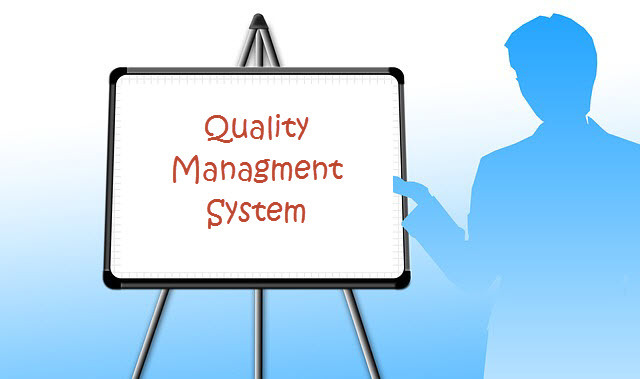 More than just establishing a thorough Quality Assurance Program, create a QMS with the capacity to really transform your business based on quality management activities. Most executives should support this practice before the “show me the money” question and way before moving forward with any approved QMS deployment effort. Frequent communication between quality managers and executives about QMS efficiency planning and changing processes vitally builds consensus—and even excitement—across your company. Try to build consensus on realistic expectations for your QMS. Focus on implementing a QMS that streamlines internal processes, improves visibility, reduces costs, and changes the way that your company does business. This way you integrate upfront all the “show me the money” questions. All is clear and scoped appropriately, based on allocated staff resources and strong project management.